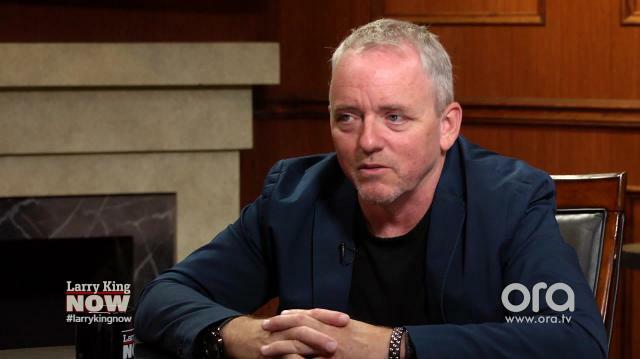 New York Times bestselling novelist Dennis Lehane, who just released his highly-anticipated new book 'Since We Fell,' unveils to Larry what type of story he'd like to write next, simply saying it involves a "chase." Larry King: ‘Since We Fell’ is out now, is there another one in the works? Larry King: Are you always writing? Dennis Lehane: No. I’m in very natal stage in the next one. I leave everything on the field, book by book, that’s why I only produce a book every two years. After I finish a book, I got nothing in the tank, never. Larry King: There’s nothing in your mind? Dennis Lehane: Yeah there’s something in my mind now. I have a story, I think. I think. I like to play within form. So this is really my sort of Hitchcockian thriller. And I did three historicals prior to it, and ‘Mystic River’ was my tragedy, and ‘Shutter Island’ was my gothic. So my next one I feel like a chase novel. I feel like doing a chase. I feel like just doing somebody running. Full out, for the entire book. And that’s my next thought.